If you have equity in your home and meet certain age and other criteria, you may be eligible for a reverse mortgage. This is a loan that allows you to borrow against the equity in your home if you are still living in it. While it has many benefits, a reverse mortgage also has long-term implications that you should understand before you agree to the loan. At Pulgini & Norton, our real estate attorneys can help you determine whether a reverse mortgage is right for you. Boston residents often come to us for advice on financial matters concerning their property, relying on our 40 combined years of experience. A reverse mortgage allows you to use the equity in your home to obtain a loan that does not need to be paid back until you sell the property, pass away, or no longer live in the home. With a regular loan, you make monthly payments to your lender, but with a reverse mortgage you actually receive money from the lender. Most reverse mortgages are federally insured Home Equity Conversion Mortgages (HECM). There are also state-approved reverse mortgages, including the Term Reverse Mortgage, which is administered through the Homeowner Options for Massachusetts Elders (HOME). Both the state and federal governments require that an applicant receive third-party counseling as part of the application process, and you must meet certain eligibility criteria to qualify. Age – Each owner of the home must be age 62 or older. Occupancy – The home must be your primary residence. Property – The home can be a single-family or 2-4 unit dwelling, an approved condominium, or a manufactured home that meets FHA requirements. The amount of the loan will depend on your age, the current interest rate, and the least of the home’s appraised value, sales price, or HECM mortgage limit. You can receive an HECM as a lump sum payment, a line of credit, a fixed monthly payment, or a combination of credit line and monthly payment. A term reverse mortgage is a state-sponsored loan administered through HOME. You can receive an initial disbursement to cover the loan’s closing costs and any major debts, as well as a monthly disbursement to cover the gap between your cost of living and your income. To qualify for a term reverse mortgage, you must own only one residence in Massachusetts, be at least 60 years of age, and have an annual income of $30,000 for an individual or $40,000 for a couple. The state limits the amount of the mortgage to less than 70 percent of the value of your property, and the term cannot exceed 15 years. HOME also offers the Modifiable In-Home Care Reverse Mortgage, which can be modified as your needs change during the term of the loan but without incurring closing costs. A reverse mortgage can offer a number of benefits if you qualify. You can use the equity in your home as a way to get cash for your day-to-day expenses, for example. Unlike a traditional loan, there are lower or no income requirements for a reverse mortgage. 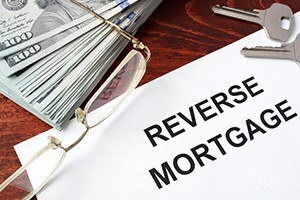 A reverse mortgage, however, can have its downsides. It can be more expensive than a traditional loan, involving higher closing costs. There are also rental and financing restrictions, such as the inability to take out a second mortgage. A counselor can explain the loan’s financial terms, but you should also understand the legal implications of having a reverse mortgage. The property lawyers at Pulgini & Norton offer skilled guidance to Boston homeowners in real estate financing matters. If you are considering a reverse mortgage, we can discuss the options available to you and explain how these loans can affect you in the long term. We can represent you at the loan closing to ensure you understand the documents presented to you and to address any concerns that may arise. We work with clients throughout Newton, Weymouth, and Hyde Park, as well as other Massachusetts communities. Call us at 781-843-2200 or contact us online to arrange a consultation.